New Delhi: Prime Minister Narendra Modi on Monday released a commemorative coin in honour of former Bharat Ratna and political stalwart Atal Bihari Vajpayee here.Former Prime Minister Vajpayee's birth anniversary is to be celebrated on Tuesday as the Good Governance Day. The function was attended among others by BJP patriarch and Vajpayee's longtime associate L K Advani, Lok Sabh Speaker Sumitra Mahajan, Finance Minister Arun Jaitley and BJP chief Amit Shah. Union Minister Mahesh Sharma and Late Vajpayee's family members was also present. 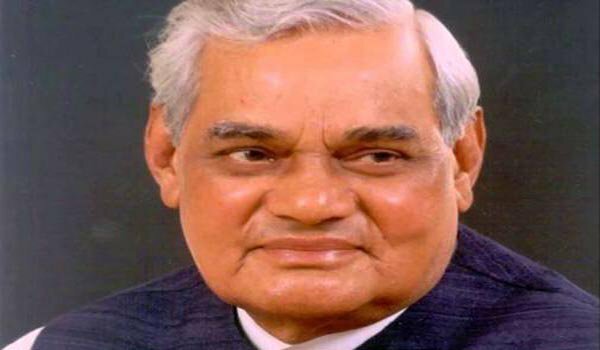 Atal Bihari Vajpayee passed away on August 16 this year at the age of 93 at the All India Institute of Medical Sciences in New Delhi following a prolonged illness. The 135 gram weighing coin has a portrait of Vajpayee with his name inscribed. The bottom of the image will have years 1924 and 2018 ? his birth and death years inscribed.